Ideal when using the FTM-400DR desk top. 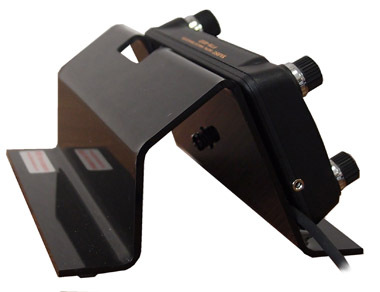 The control head rests on two vinyl pads and securelyfastens to the stand using the mounting screw. The stand is 3 inches high, by 4.8 inches deep and 6.2 inches wide and has a cutout for clearing the GPS "bump" at the rear of the control head. 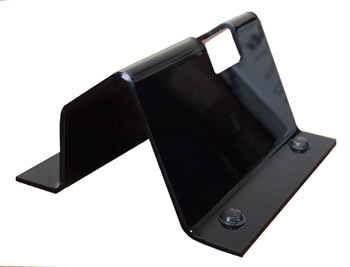 The stand rests on four anti-skid rubber feet. Heavy Duty FTM-400 Desk Stand. Custom designed to perfectly fit the FTM-400, providing an ideal angle for viewing the display, and stable support for touching buttons on the screen and working the controls. The FTM-400 securely attaches to the stand using the mounting screw at the back of the control head. For additional support and protection, the control head rests on two vinyl pads.